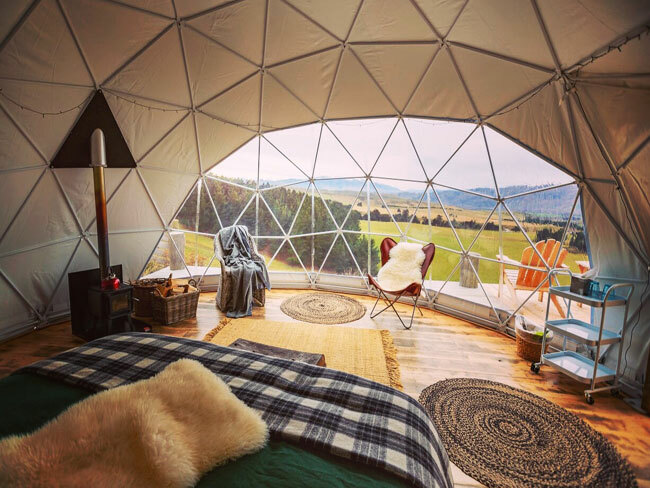 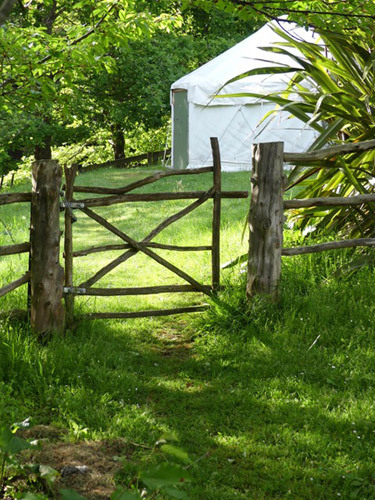 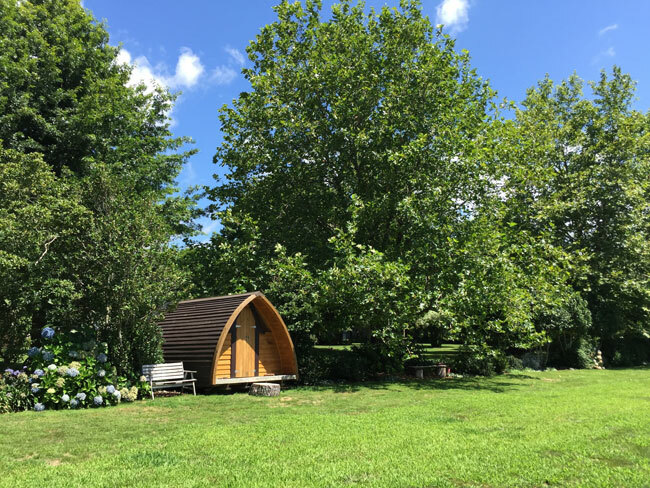 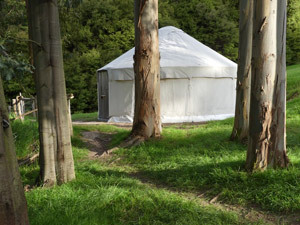 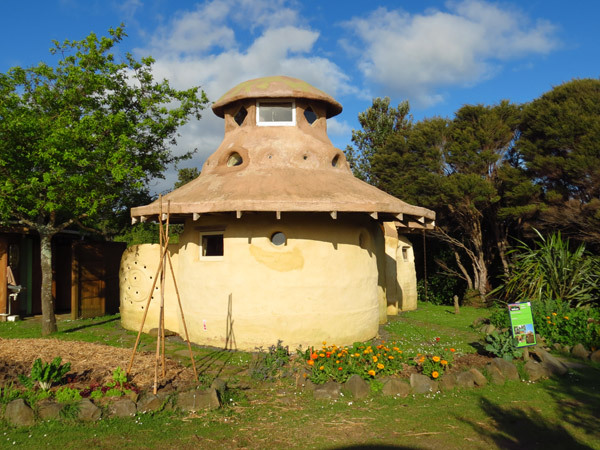 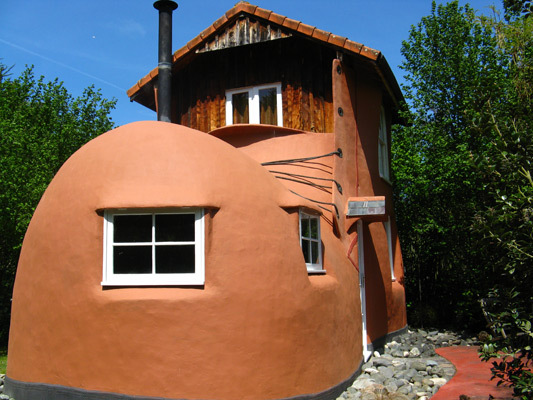 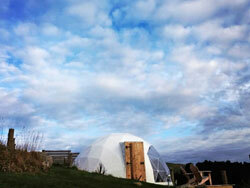 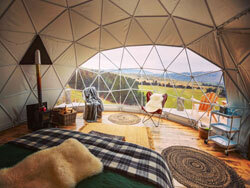 Unusual accommodation at Solscape Eco Retreat includes earth domes, tipis (seasonal) and cabooses. 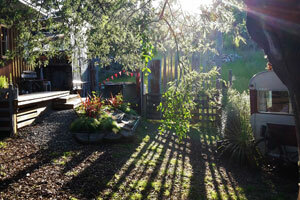 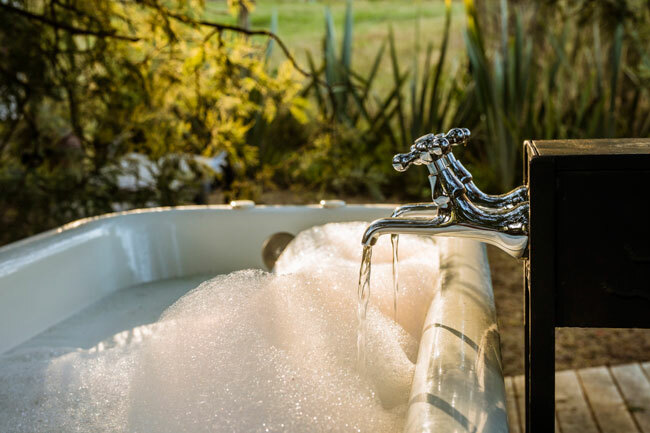 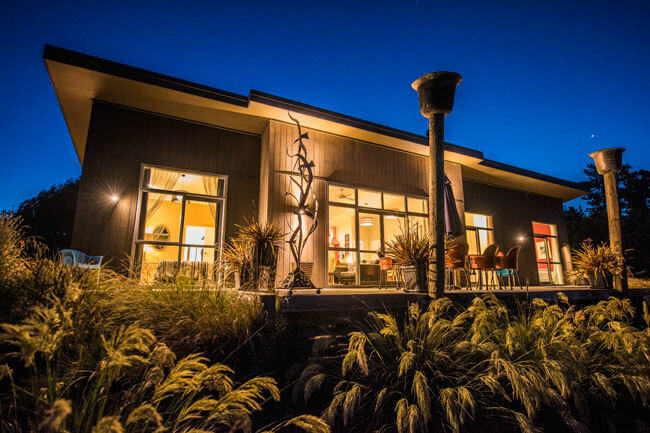 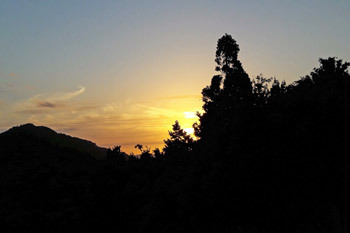 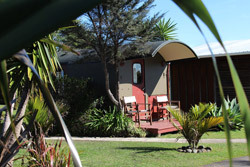 Solscape is an eco conscious property located 6km from Raglan but walking distance to the beach. 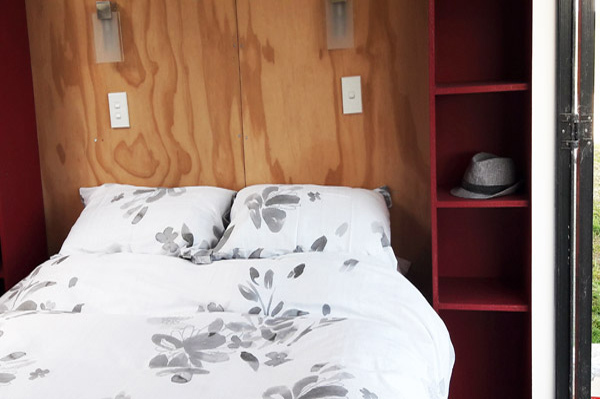 If you're keen to learn to surf check out the inhouse surf school - SolSurfer. Accommodation rates suit those on a backpacker budget and beyond. 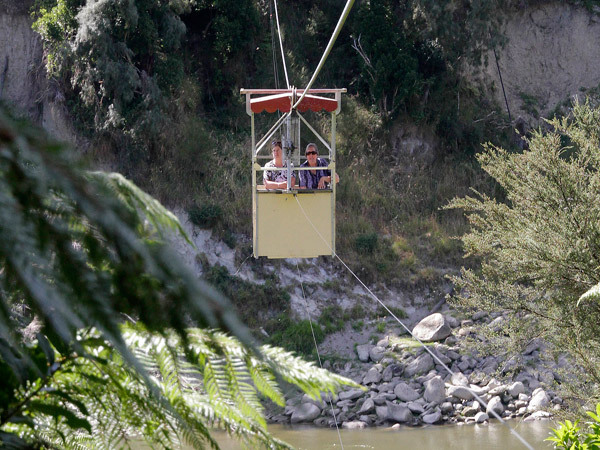 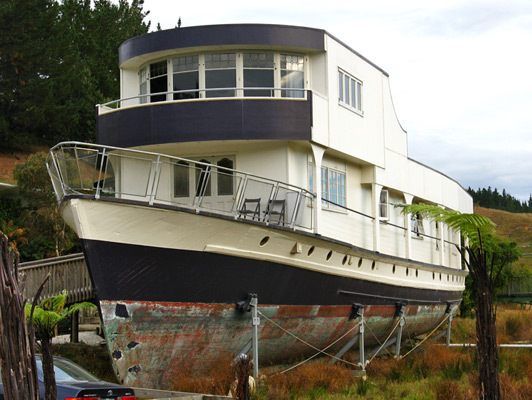 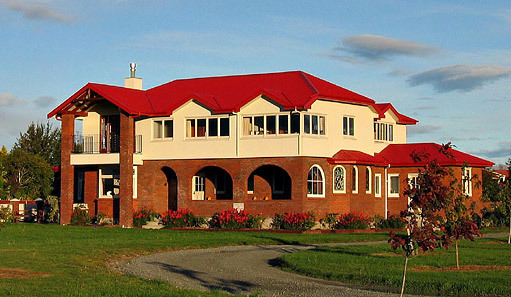 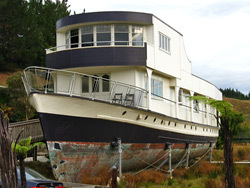 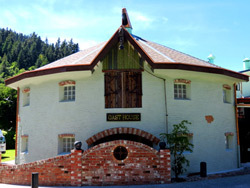 Touch down in Waitomo and spend a night in the Plane Motel or onboard The Waitanic. 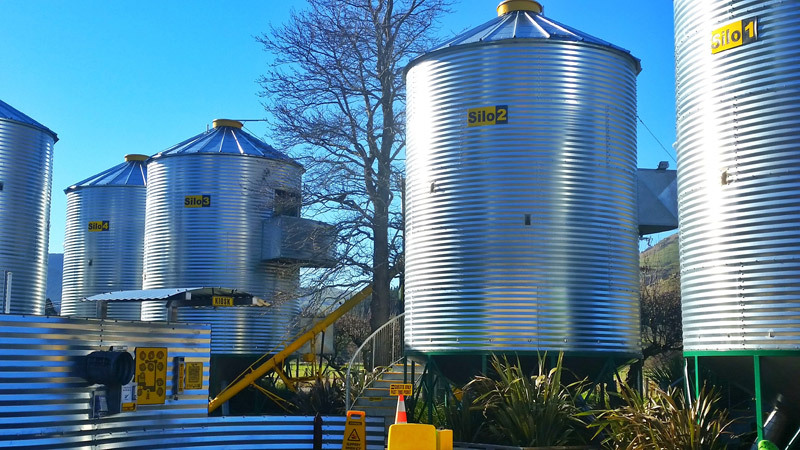 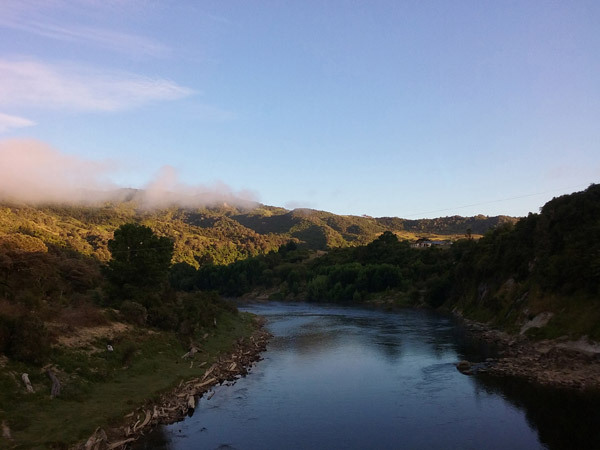 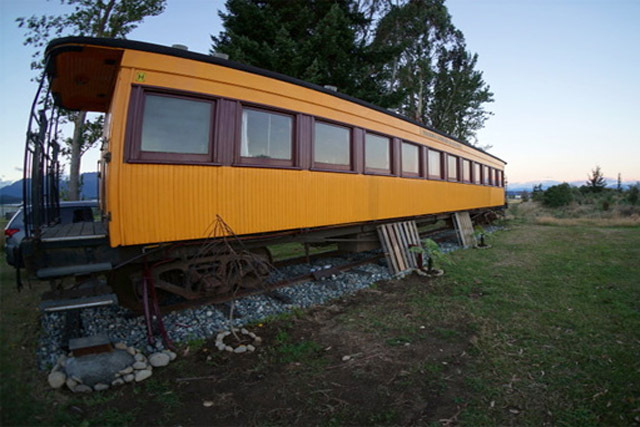 Lord of the Rings fans might prefer The Hobbit Motel and train enthusiasts can sleep onboard Waitomo Express. 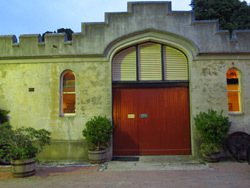 Woodlyn Park also hosts Billy Black's Kiwi Culture Show. 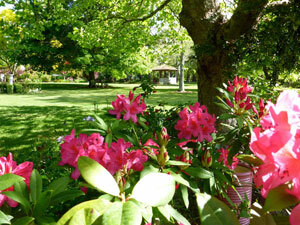 Woodlyn Park is a short drive from Waitomo Caves. 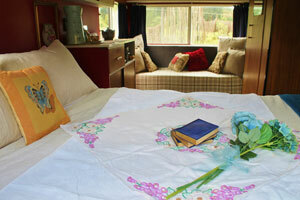 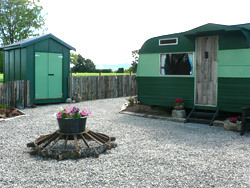 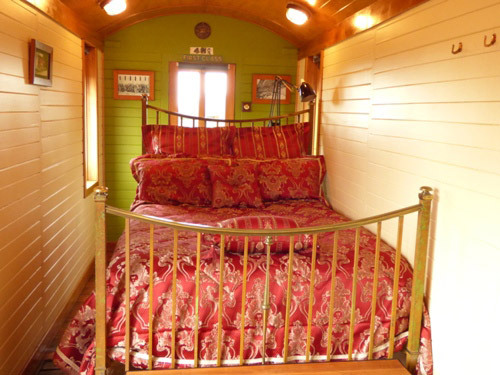 Biddy is a 1970's caravan renovated with recycled wood. 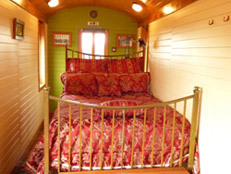 She is 7.5 metres long and sleeps two. 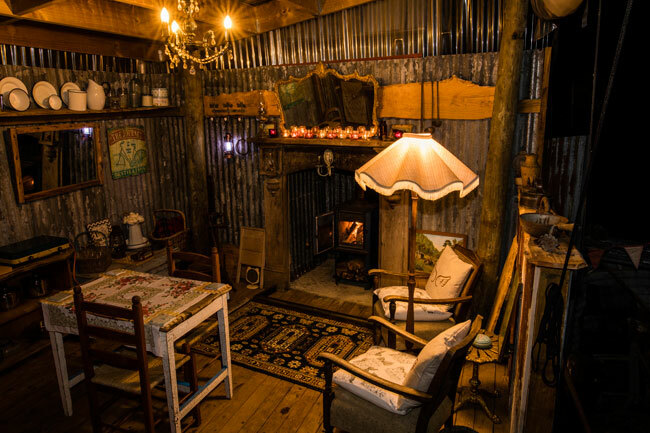 Biddy is off the grid and has solar lights, a gas cooker, and a little coal stove. 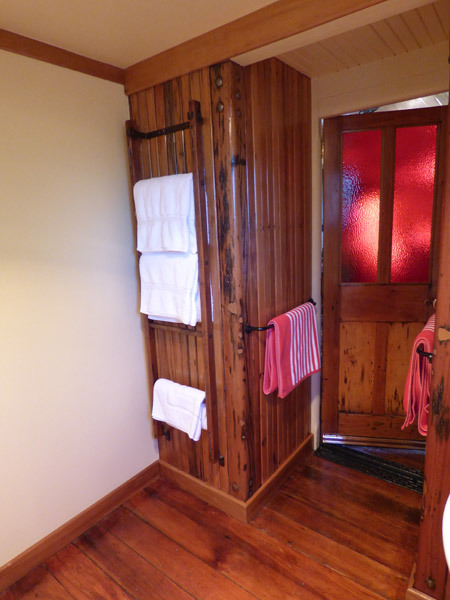 Steps away is a bathroom with gas shower and toilet. There is cell phone coverage but make sure your devices are fully charged. 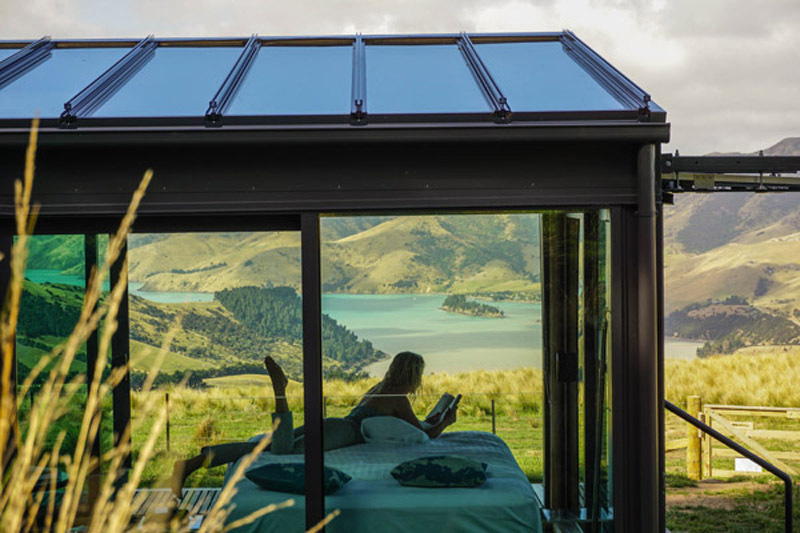 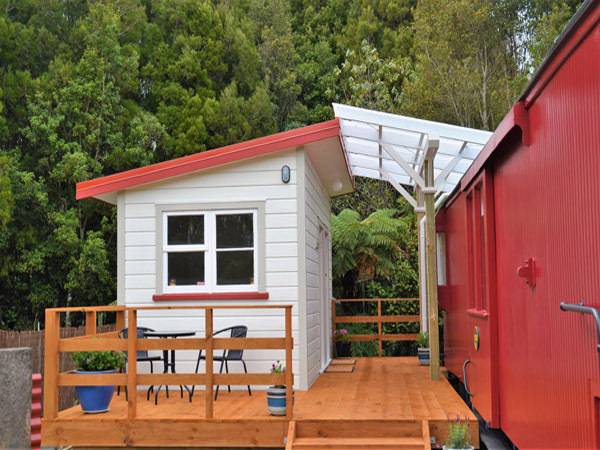 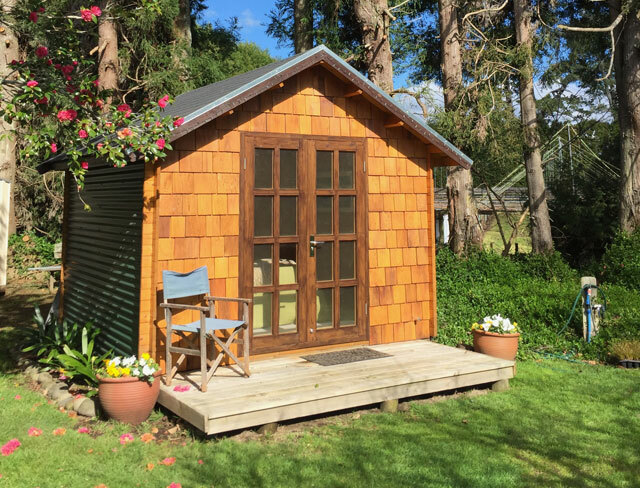 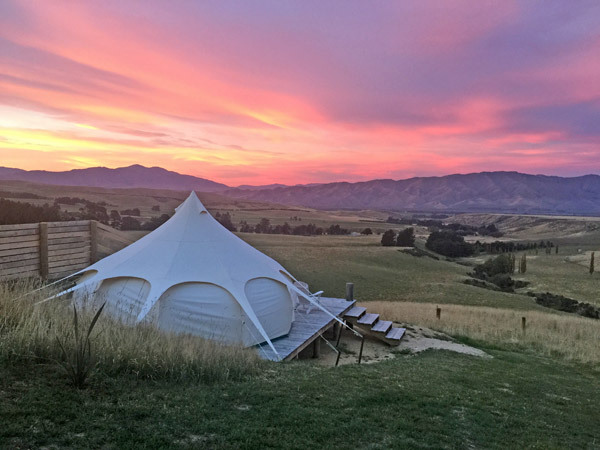 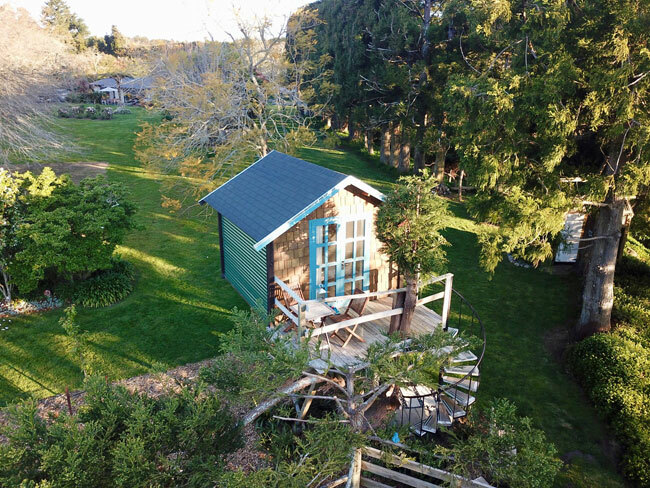 Biddy resides on a family farm near Masterton and comes with the Star Gazer, a double outdoor bed ideal for lying back and watching the night sky. 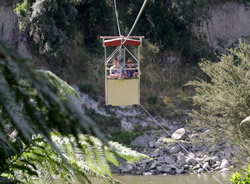 From $90 (Sunday – Thursday), $120 (Friday, Saturday and public holidays). 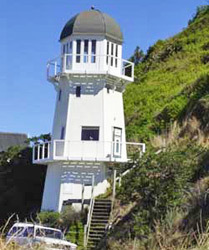 Be a lighthouse keeper for the day or hide away in The Keep (stone tower) in Houghton Bay. 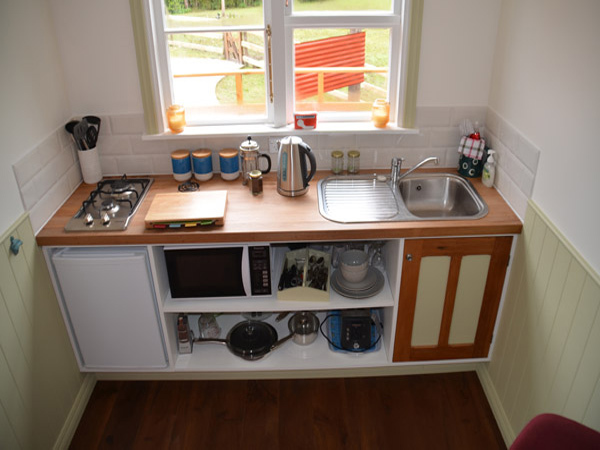 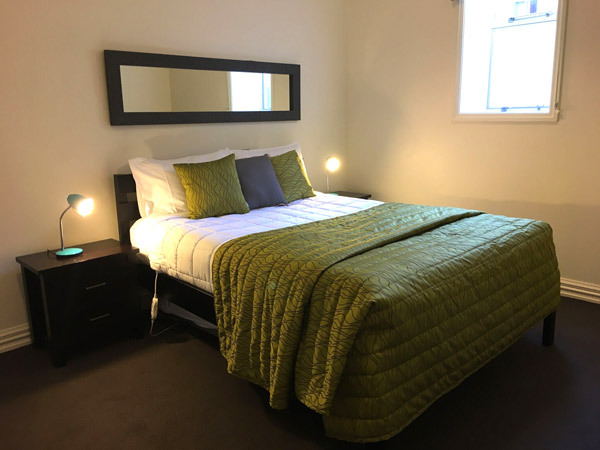 Self contained accommodation including breakfast provisions from $200 week days, $230 Friday and Saturday nights. 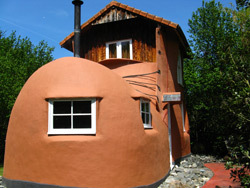 Without breakfast - week days $170, Friday & Saturday $200. It’s not just the old woman who can spend a night in a shoe, you can too. 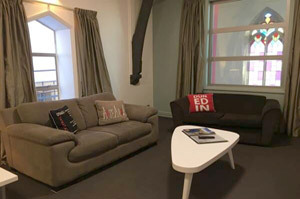 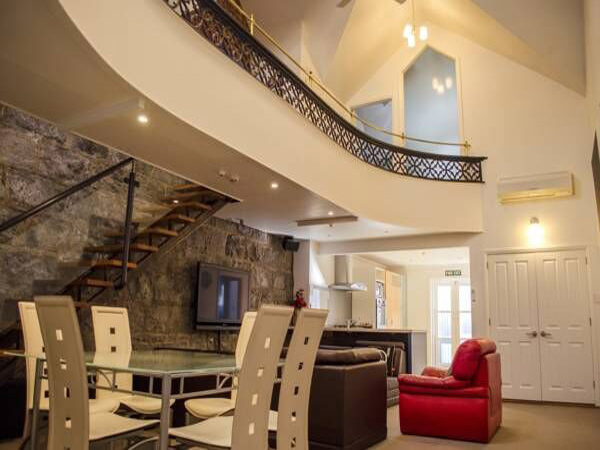 The Boot is a romantic two storey retreat with an open fire, Juliet balcony and small private courtyard. 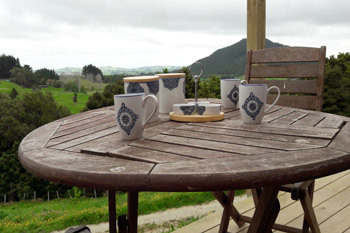 Breakfast is delivered to your door and you can have lunch over the fence at Jester House Café. B&B rate is $330 per night,10% discount for two or more nights. 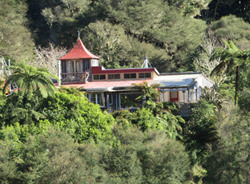 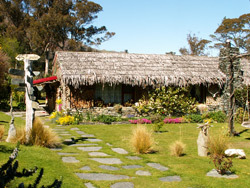 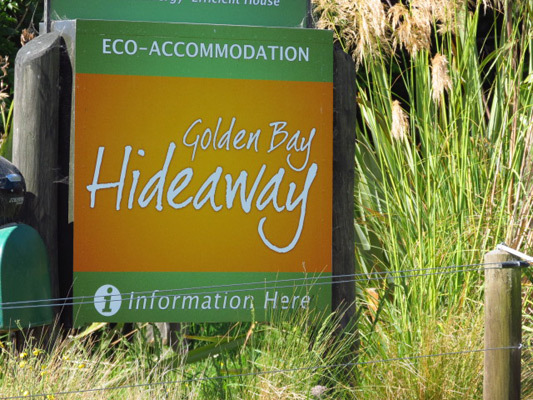 Golden Bay Hideaway has four accommodation options - a restored house truck set in a private bush location with an outdoor bath; two environmentally conscious houses - Little Greenie and Kiwi Greenie; and the Hippie House which was started by some of the original 'Hippies' in Golden Bay and has been completed and restored. 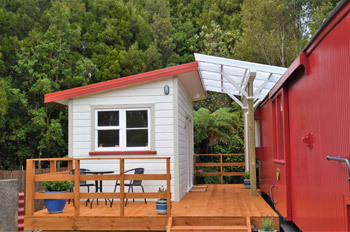 House truck stay from $150 per night, discounts for longer stays. 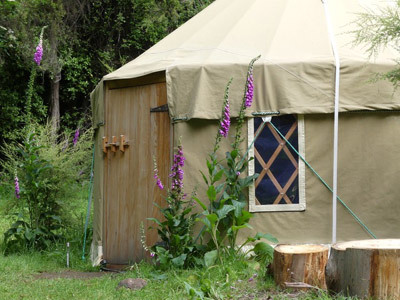 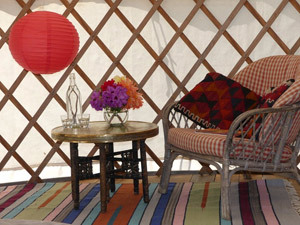 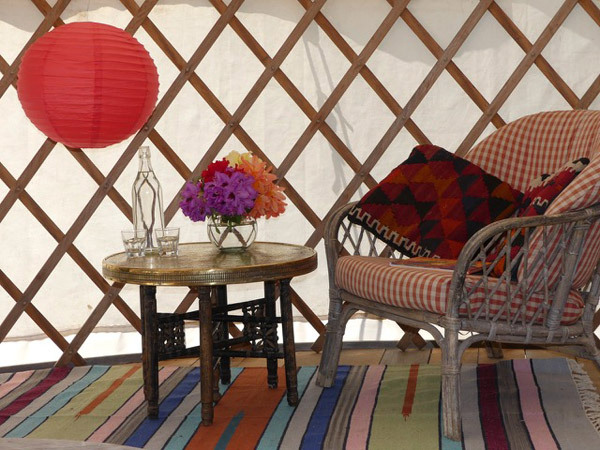 Wacky Stays has a collection of unusual accommodation options including a house truck, yurt and colonial wagon. Guests can visit the onsite farm park free of charge. From $169 per night. 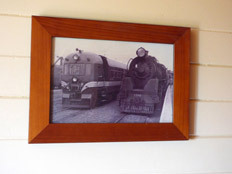 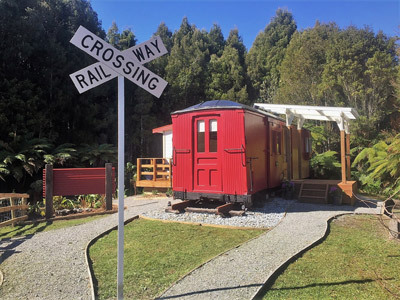 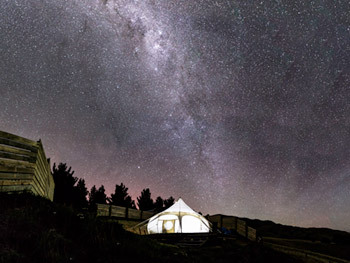 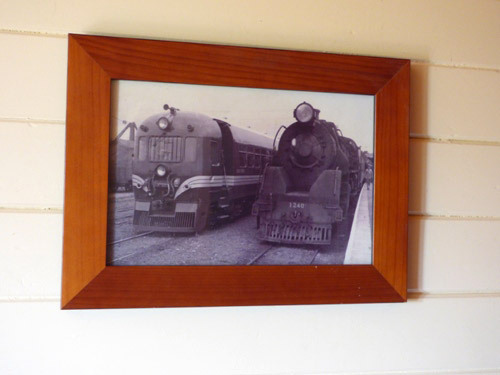 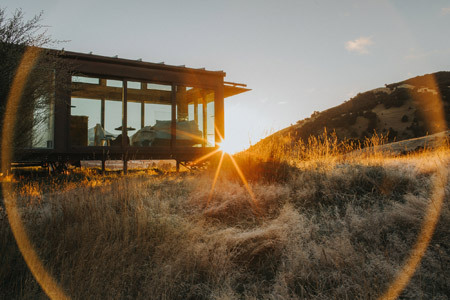 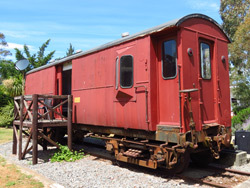 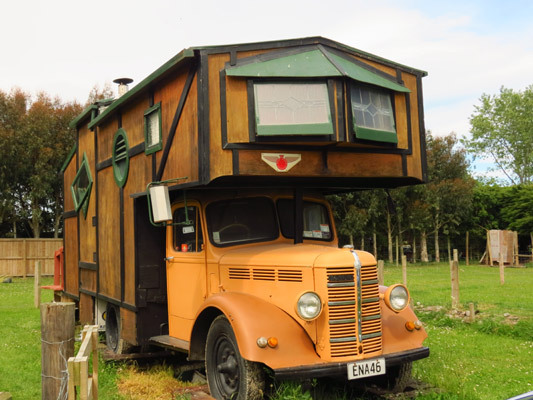 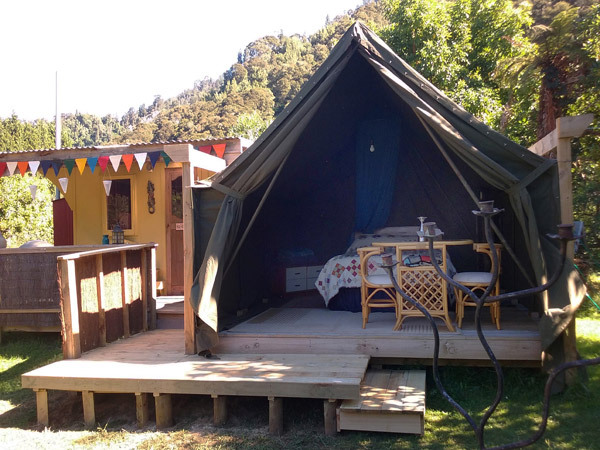 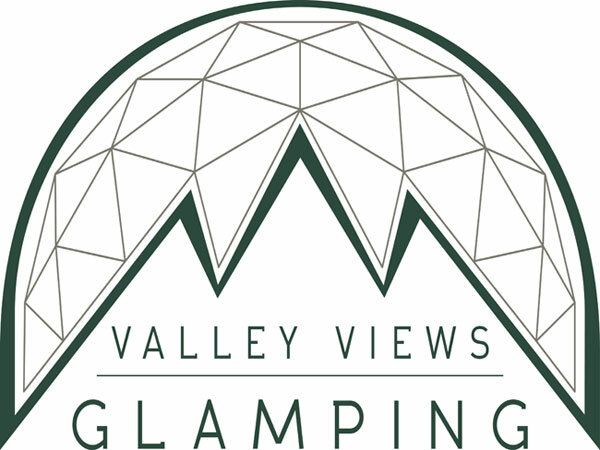 Sleep in a guards van at Waipara Sleepers or pitch your tent or park your van for the night. 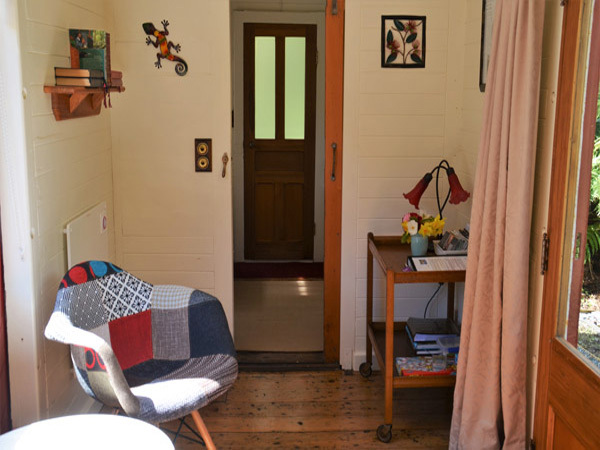 Shared guards van stays from $25, unpowered site $20, powered site $25. 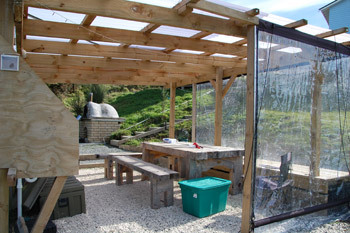 Free hot bread every morning and maybe an egg or two at the chickens convenience. 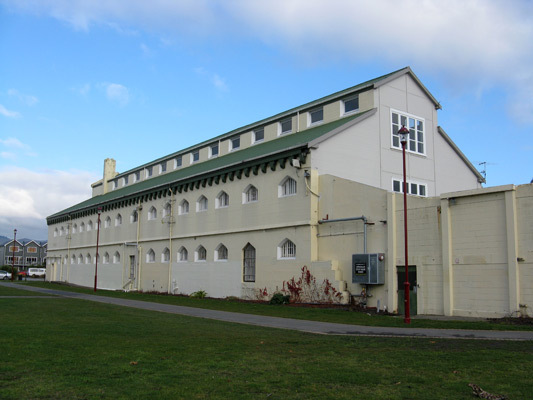 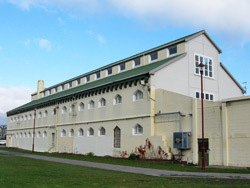 Addington Prison closed in 1999 and after renovation it re-opened in 2006 as Jailhouse Accommodation. 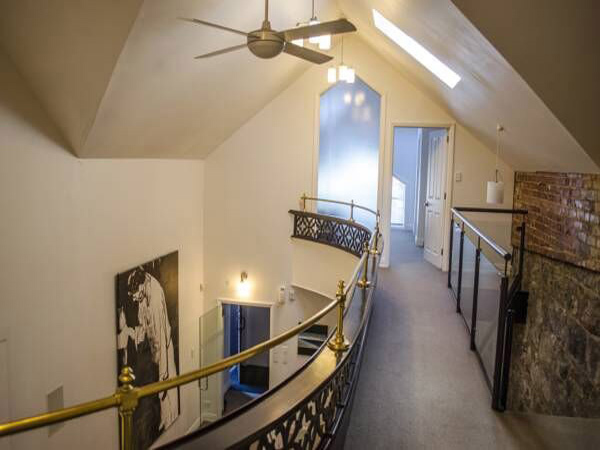 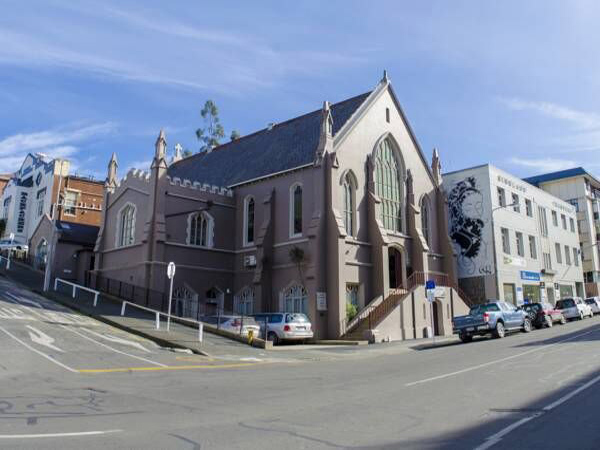 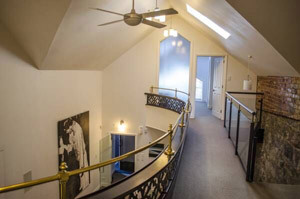 Have a secure stay in the former cell block from $32pp. Curious, quirky and unusual all describe the facilities at Creeksyde Holiday Park & Motels. 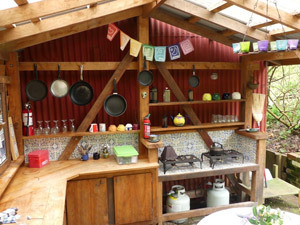 From the ‘Tapas Room’ barbecue pavilion to the trompe l’oeil (deceive the eye) murals in the communal bathrooms. 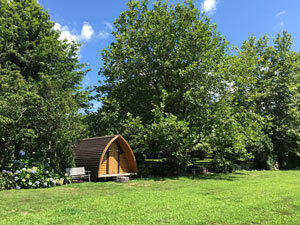 At Little Paradise you can sleep in rooms with names like Whispering Swans and Fire of Romance. You will see whimsical sculptures in the garden and according to Trip Advisor reviews even the toilet is an attraction. 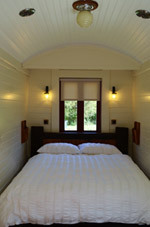 A bed in the shared room Running Deer can be booked from $45 per night. 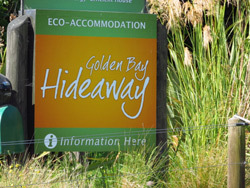 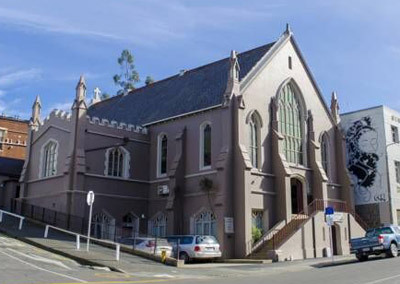 (Queenstown is just 28kms away). 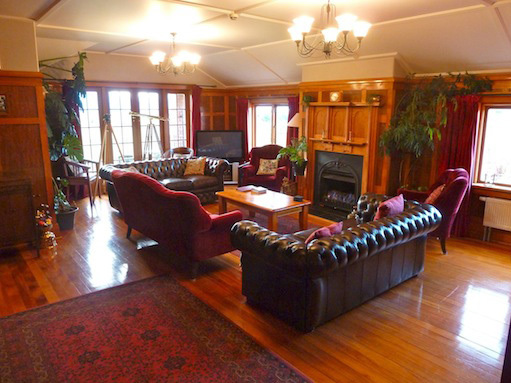 Spend a night in the Historic Stable at Larnach Castle. 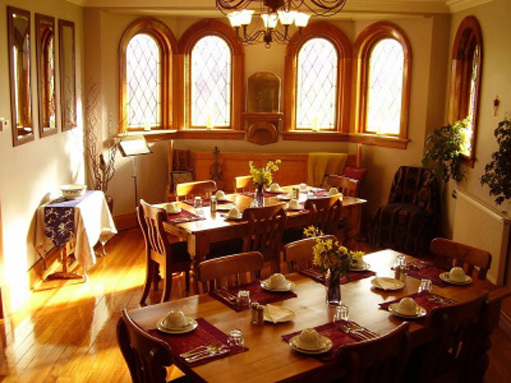 Enjoy a cooked breakfast the next morning and entry to the Castle for $155 for two adults. 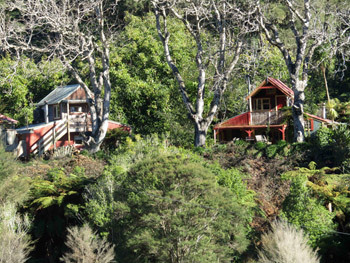 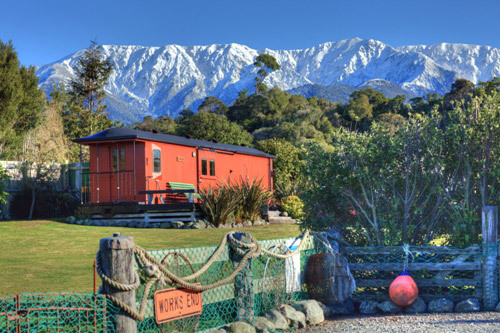 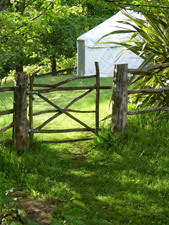 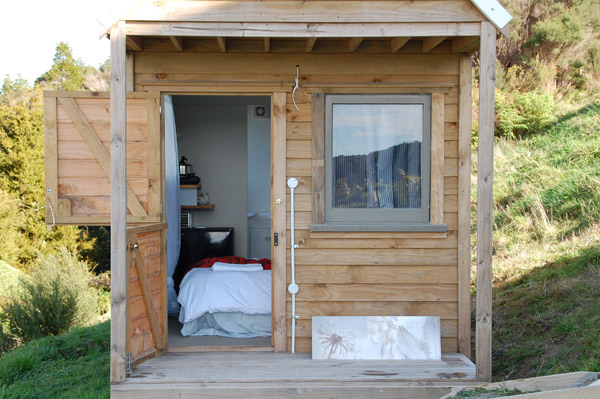 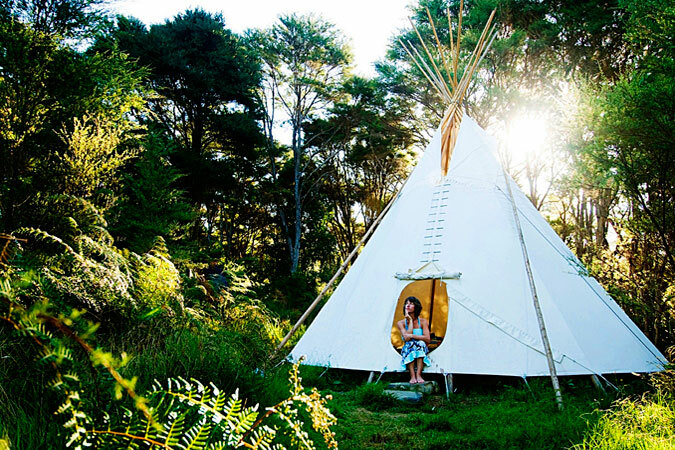 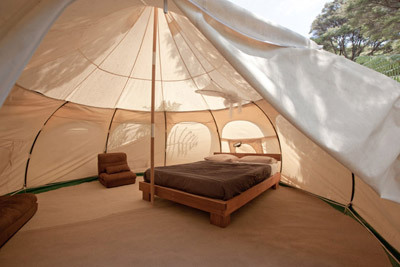 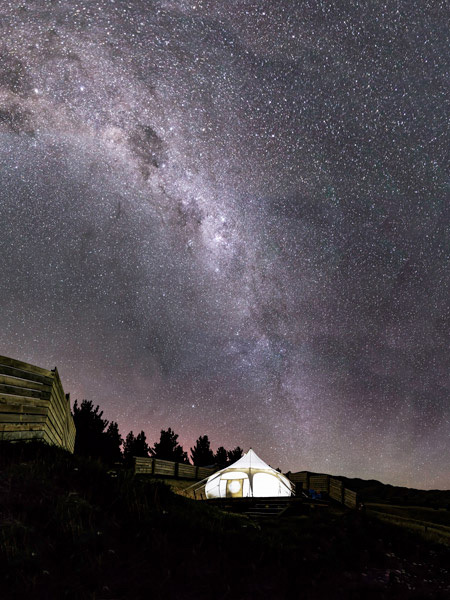 You can also stay in the 4 star rated Larnach Lodge from $280 per couple and Camp Estate from $320.